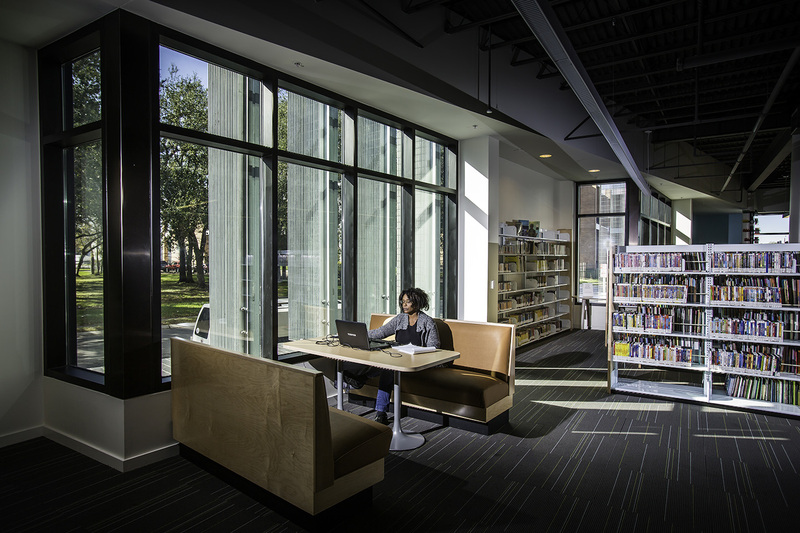 The Two Libraries (Robert E. Smith Library, and Norman Mayer Library) are part of a four library design strategy, which was a collaborative effort between the offices of Lee Ledbetter & Associates and Gould Evans Affiliates. 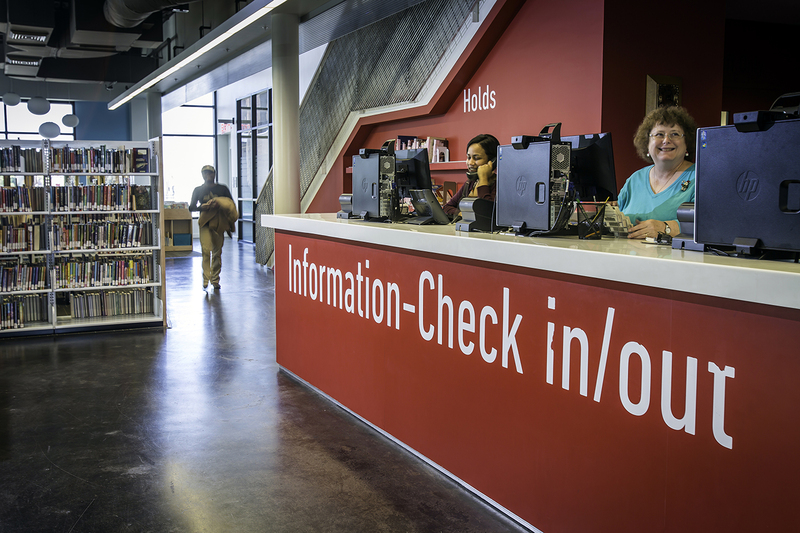 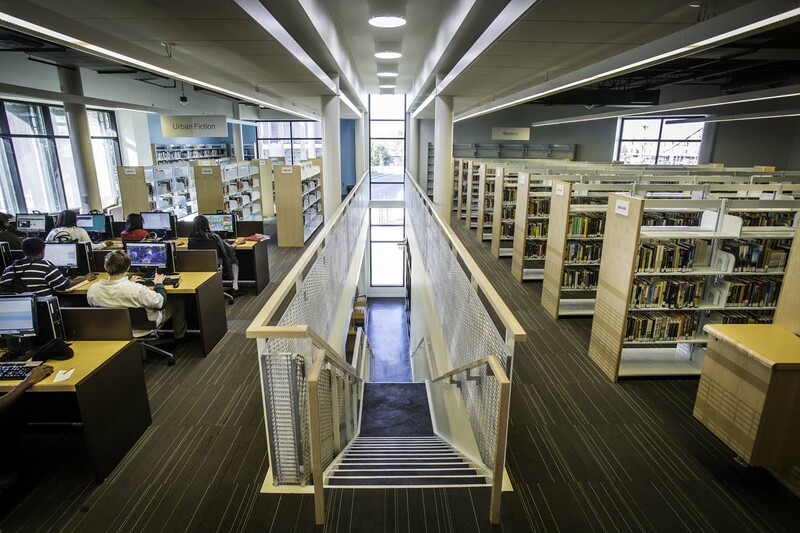 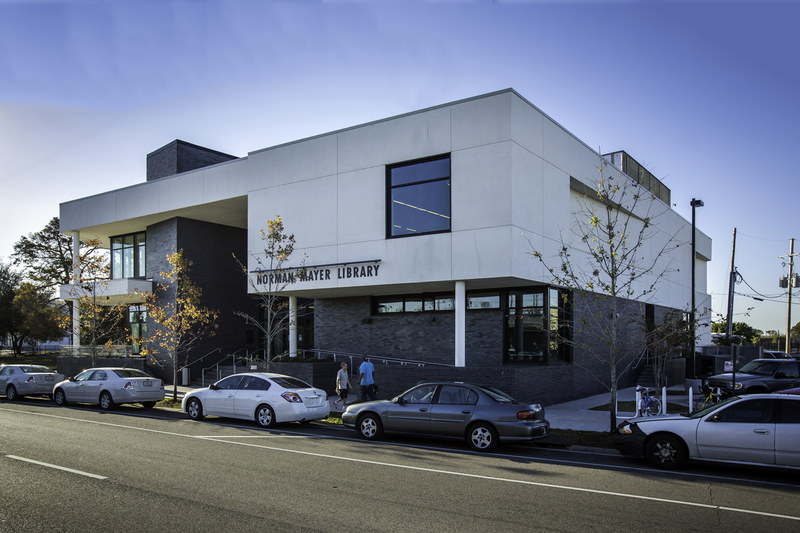 The design of the libraries strives to establish a consistent language while responding to the respective neighborhood contexts and providing each library a distinct identity. 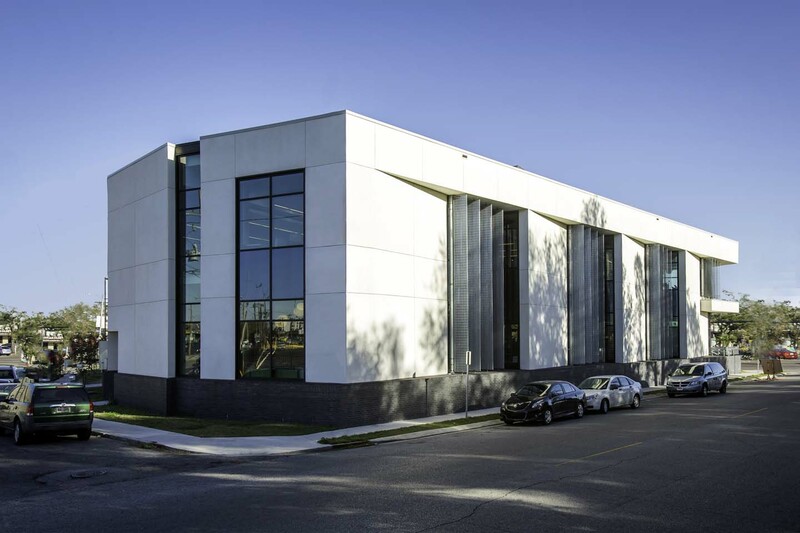 Among the design elements that make the projects unique: at Robert E. Smith, a courtyard to allow light into the building on a nearly square site; and at Norman Mayer, large sections of glass opening on to a park across the street. 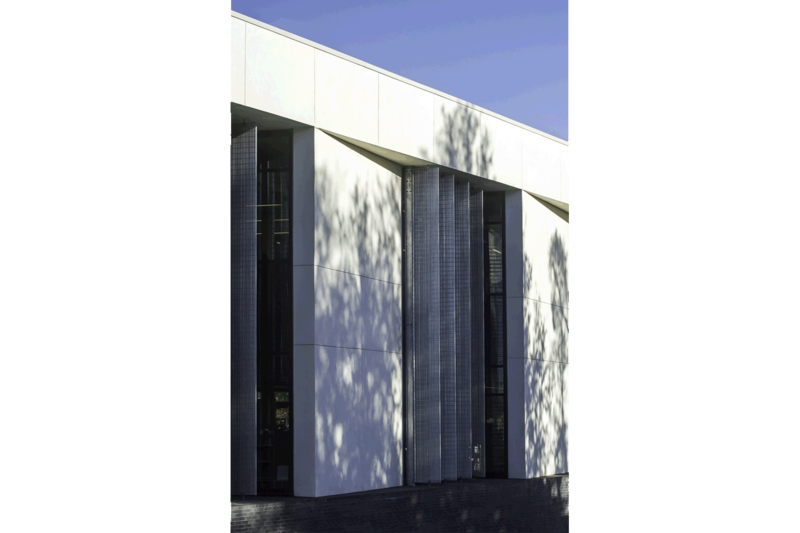 Sustainable and site specific strategies focus on building orientation, location of glass and courtyards, and mechanical systems optimized for minimum cooling loads and maximum natural light; large overhangs and shading devices; occupancy sensors and high-efficiency lighting; the preservation of existing trees and an increase in green space; and the preparation of the electrical system and roof for future installation of solar panels.